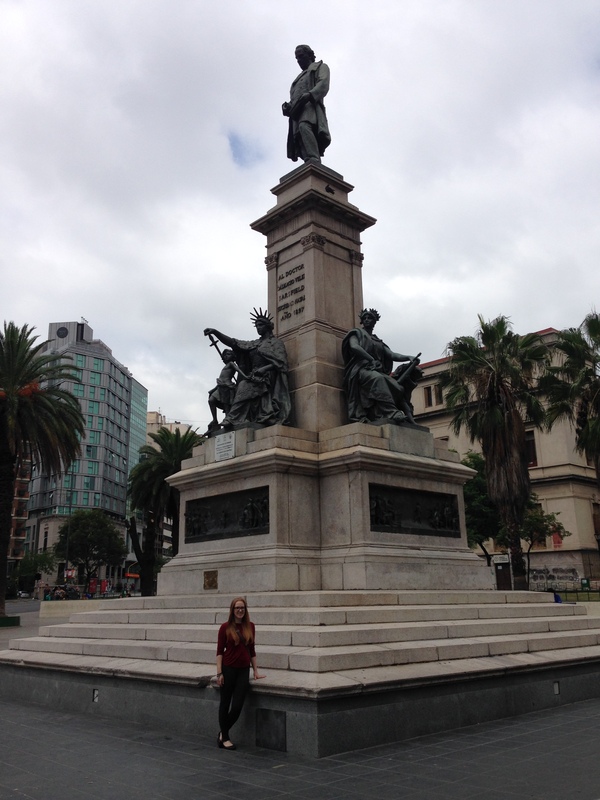 After a ~10 hour bus ride from Buenos Aires, I arrived in Cordoba, Argentina. My home for the next few weeks. Cordoba is the second largest city in Argentina. It is in the middle of the country, surrounded by the Sierras de Cordoba. It is a city of around 1.3 million people, so a decent size. Me in front one of the statues in the main squares in Cordoba. noticed that a lot more people take longer to graduate here though, which I suspect is partially due to it being free. Criss crossing the world gets expensive. So in order to reduce those expenses, I joined workaway and found a hostel in Cordoba where I could work for around 24 hours a week in exchange for free boarding. Not a bad deal, huh? Plus, since I first visited a hostel in Europe where I saw cool, hip foreigners working the desk, it had been one of those dreams that I wanted to check the box on. (Bartending is also on that list so we will see if I get to that). It is also a great way to meet people and not feel so lonely when you are traveling by yourself. This has come in handy, especially when I want to go out. I’ve gone to the same club twice now. They do play a lot of reggaeton here, which I cannot say is my favorite. Cordoba has quite a bit to offer and I do recommend a stop if you are traveling through Argentina. I specifically recommend you come on a Wednesday. All the museums are free on Wednesday and it is a great way to get to know a bit more about the city, Argentinean culture, and its art. 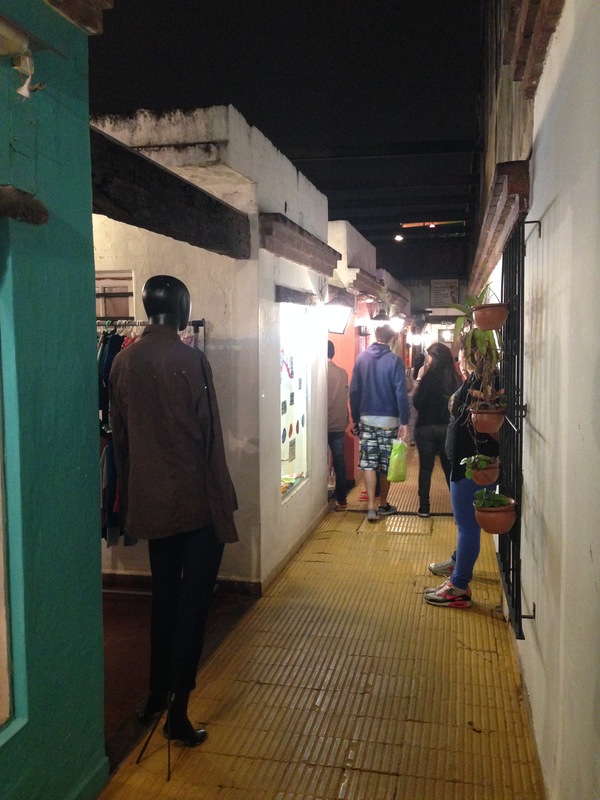 One of the hidden market ways around Las Paseo de los Artes on the weekends. You are bound to find something you will want to buy! I would also recommend trying to stay until Saturday night at least as well. Not only would you get to experience the nightlife but you can also check out Paseo de los Artes. Paseo de los Artes is a little street fair that only goes on during the weekend from 6pm to 10pm. The stalls are filled with handmade goods ranging from wood to leather to jewelery. The area itself is also fun to walk around and lots of open air bars. Cordoba is a city that grows on you the more you get to know it. There aren’t any world famous sites, but it does have a culture that is all its own. Its proximity to the Sierras de Cordoba make it a great base and its youthful atmosphere will have you missing your own school days in no time. While there are many cities in Argentina that get more attention, Cordoba is worth a visit.